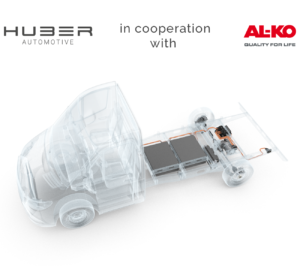 The product and service portfolio of Huber Automotive is constructed out of three main areas of business; Automotive Electronics, Battery management and E-Drive / Hybrid. The Automotive Electronics division offers solutions for current and future requirements in the automotive industry. This service comprises of a broad range of support mechanisms, from function development to the integration of controls into overall systems. We complete these design and development services by including the testing and production processes, all from a single source at our Mühlhausen site. The product portfolio encompasses E-Mobility and Hybrid control units, multifunction and exhaust ECUs, electronics for safety / security and power, comfort and gateway applications, and complete Battery Management Systems that have, due to our many years of experience, now developed into a dedicated area of business. 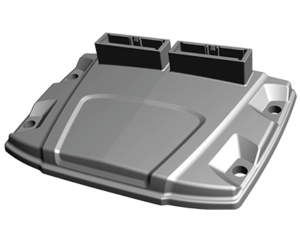 Control units are developed according to the AUTOSAR standard in order to permit cost reductions, quality improvements and reusability of already-developed components. Many years of know-how in hard- and software development for high volt and 48-volt vehicle systems, using 32-bit TriCoreTM micro controllers, serve to meet the highest demands in function & safety. Control unit development, housing design and electronics production under one roof underpin our turn-key customer solutions. Since the development of our first proprietary control unit, control unit development and production have become our core business. As a result, we now offer a range of tried-and-tested hardware platforms and control unit modules that can be used individually or in combination for the most varied applications. From functional development to integration of the controls in a complete system or with peripherals (such as diagnostic testers or data loggers for example), we are an innovative and flexible engineering partner throughout the entire product development process, offering development services, testing, and production from a single source. The Sale of battery-powered and plug-in Hybrid cars has clearly increased in the last few years. Huber Automotive AG started preparing for this change in trend nearly 10 years ago and has instigated developments to create value in this market segment as a result. 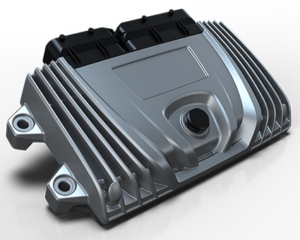 Battery Management Systems are used to monitor the charging status, voltage and temperature of each battery cell in electric and Hybrid vehicles. Huber Automotive developed a variety of projects to facilitate this technology, such as 4 CAN bus and 6 CAN bus gateways. These 4 CAN and 6 CAN bus gateways permit the combining of multiple battery packs into a larger battery system whereby each of the units, from 12 up to 48 cells, are monitored for voltage and temperature status. This ensures good communication with the Battery Management System, thereby effective balance and regulation of battery condition. Our substantial know-how in the development of hard- and software for power-cell monitoring, our proven high-voltage and 48-volt Battery Management Systems for on-board power supplies along with the use of 32-bit TriCoreTM microcontrollers make it possible to meet the highest demands of function & safety standards and full compliance with ISO 26262: ASIL B. 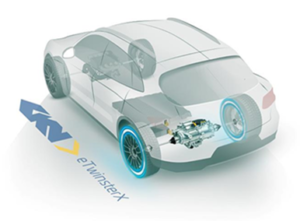 This division offers complete solutions for E-Mobility and Hybrid vehicle concepts. The developments in this segment refer to the integration of intelligent control systems into the overall vehicle and comprises of the central vehicle control of all system-relevant components. Such systems have comprised of; energy management of the high- and low-voltage system, the energy recuperation during braking (dependent on the driving situation) as well as charging, security and safety management. Already in 2011, thanks to the scope of the subsidized “ELENA”- plug-in hybrid for light industrial vehicles (trucks and vans) project, our company was able to become very familiar with the subject of hybrid drive and high-voltage systems and thereby able develop know-how and experience at a very early phase of our entry into this diverse field. More knowledge relating to the complete architecture of such systems was acquired whilst we developed another demonstration vehicle with a pure electric drive for the mining industry. 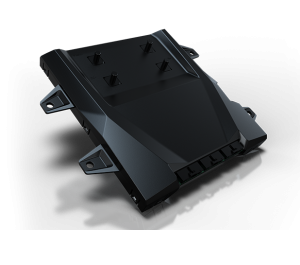 This comprised of both the integration of an entire Battery System and the design of its cooling system. Today, Huber Automotive is able to offer a system that makes use of production components from renowned suppliers, arranged in a new architecture in order to optimally employ the characteristic strengths of each of those parts. 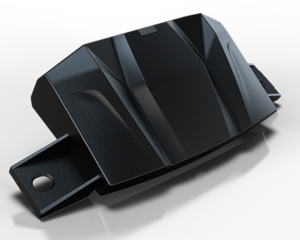 In the development of its E-Drive solutions, Huber Automotive, an established expert in automotive electronics, draws on its many years of experience as a tier-1 series supplier to the automotive industry. Thanks to our many system developments and the system integration of electrified and hybrid powertrains, an in-depth knowledge of the intelligent networking of control units in on-board network architectures, and, not least, long-standing partnerships with well-known European system suppliers to the automotive industry, we are able to employ state-of-the-art mass production technology in all fields of application. Our latest system development is the Huber E-Drive as a plug-in hybrid concept: In vehicles with an internal combustion engine and front-wheel drive, an E-Drive is integrated in the rear axle. With the Hybrid Power Chassis, a joint project in cooperation with chassis manufacturer AL-KO, we have realized a compact and weight-optimized form of electrification, providing an optimal mobility solution for the noiseless, zero-emissions running of transporters in urban areas. 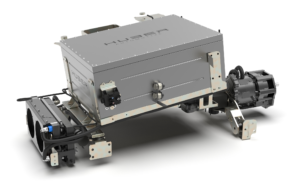 The Huber E-Drive is more than an electric drive. With this concept, vehicles with front-wheel drive become a plug-in hybrid with all-wheel drive and offer the user a significantly enhanced functionality. Durch die Elektrifizierung der sonst nur mitlaufenden Hinterachse erhält das Fahrzeug einen zusätzlichen Vortrieb von 60 kW (90 kW Peak). Neben den verschiedenen Fahrmodi, die rein elektrisches, rein verbrennungsmotorisches Fahren ermöglichen, steht auch die Kombination von beiden Antrieben entweder als ECO-Mode oder als Power-Boost Mode zur Verfügung. Der ECO-Mode hat die Verbrauchsoptimierung zum Ziel. Im Boost-Mode steht die höhere Antriebsleistung im Vordergrund. Darüber hinaus eröffnet der Huber E-Drive neben der normalen Rekuperation über den „X-tra-Charge-Modus“ noch weiteres Anwendungspotenzial. So ermöglicht dieser Modus, ein konstantes Laden der Batterie während der Fahrt um beispielsweise mit voller Batterie in Umweltzonen rein elektrisch mit maximaler Reichweite einfahren zu können. Das System bietet ausreichend Variabilität in Bezug auf die verfügbare Batteriekapazität um je nach Kundenbedarf problemlos von 50 bis 100 km rein elektrischen Fahrbetrieb abzudecken. Darüber hinaus kann die on-board Batteriekapazität für den Betrieb von Zusatzaggregaten genutzt werden. So können beispielsweise Kühlfahrzeuge rein elektrisch, demzufolge emissionsfrei und geräuscharm, in städtische Umweltzonen einfahren und selbst im Stand über mehrere Stunden elektrische Kühlaggregate betreiben. Auch ein mehrfaches Einfahren in Städte mit Fahrverbotszonen stellt kein Problem mehr dar. Im Gegensatz zu reinen Elektrofahrzeugen gibt es keine Reichweitenproblematik, die den Aktionsradius begrenzt. Die Batterie kann immer wieder erneut während der Fahrt außerhalb der Umweltzone nachgeladen werden. Dies ermöglicht hohe Flexibilität und Termintreue. Ein leistungsstarkes 22 KW On-board-Ladegerät (380/400V) sorgt für kurze Ladezeiten und somit geringe Standzeiten. Zwischenladungen in Ruhezeiten oder während des Be- oder Entladens sind somit jederzeit möglich. Ganz egal, ob Sie mit einem Wohnmobil geräuschlos vom Campingplatz fahren möchten oder in der Allradfunktion eine verschneite Bergstraße passieren wollen, das System bietet die gewünschte Funktionalität für die unterschiedlichsten Anwendungen. Ob Kühlaggregat, Hebebühne, Illuminierung von Werbeflächen bei Verkaufsfahrzeugen, es ist ausreichend elektrische Energie an Bord. Ein weiterer entscheidender Vorteil des Systems liegt in der Connectivity und der damit verbundenen Möglichkeit Daten zu übertragen: sei es der Zugriff auf webbasierte Dienste mit Cloudservice, sicherer und flexibler Fernzugriff für Diagnose und Wartung, Fahrzeug- oder Warentracking bis hin zum Fahrverbotszonen-Tracking via GPS. 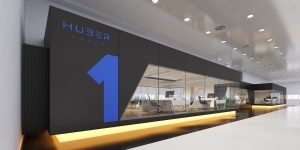 Seine Variabilität, Kompaktheit und zukunftsorientierte Konnektivität machen den Huber E-Drive einzigartig. Je nach Bedarf kann der Kunde entscheiden, welche Vorzüge des Systems er nutzen möchte, das Kosten-Nutzen-Verhältnis kann so individuell optimiert werden. So profitiert ein Wohnmobil bereits von Basisfunktionen wie Allradantrieb und zusätzlicher Batteriekapazität. Beim Kühlfahrzeug rückt zusätzlich die Erweiterung der Batteriekapazität über einen zweiten Batterie-Stack und die Datenübertragung in Echtzeit in den Fokus. Dies ermöglicht nicht nur das Protokollieren der eingehaltenen Kühlkette in Echtzeit, sondern auch den Fernzugriff um das Kühlaggregat bei Bedarf in Betrieb zu nehmen.